^ "State of the Union : ROADMAP FOR A MORE UNITED, STRONGER AND MORE DEMOCRATIC UNION 2017" (PDF). ec.europa.eu. Retrieved 2 October 2017. ^ "Juncker in the 2017 State of the EU: We must maintain a credible enlargement perspective for the Western Balkans". europa.rs. Retrieved 2 October 2017. ^ "Serbia on course for EU by 2025, top EU official says". Reuters. Retrieved 27 January 2018. ^ "'They've pulled up the draw bridge' Juncker RULES OUT Turkey joining the EU". Express UK. Retrieved 2 October 2017. ^ "PRESIDENCY CONCLUSIONS : Copenhagen European Council - 21-22 June 1993" (PDF). Europarl.europa.eu. Retrieved 21 April 2016. ^ "Iceland withdraws EU accession bid". Deutsche Welle. 12 March 2015. Retrieved 12 March 2015. ^ Iceland's Ministry of Foreign Affairs (13 June 2013). "Minister Sveinsson meets with Stefan Füle". Retrieved 19 June 2013. ^ "Chronology". European Commission. Retrieved 9 March 2014. ^ Staff writer (22 March 2006). "EU Mulls Deeper Policy Cooperation with Morocco". Defense News. Retrieved 4 July 2006. 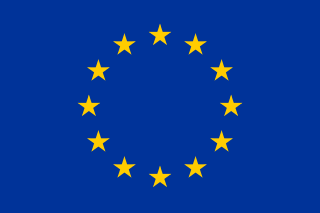 ^ European Commission (10 November 2005). 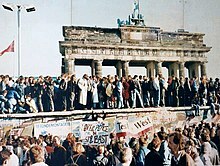 "1972". The History of the European Union. Retrieved 18 January 2006. ^ European Commission (10 November 2005). "1994". The History of the European Union. Retrieved 18 January 2006. ^ "EU membership application not to be withdrawn". swissinfo. 26 October 2005. Retrieved 12 March 2015. ^ British Embassy, Bern (4 July 2006). "EU and Switzerland". The UK & Switzerland. Retrieved 4 July 2006. ^ European Commission (12 January 2015). "The Schuman Declaration – 9 May 1950". Retrieved 11 March 2016. ^ "Turkey Secretariat General for EU affairs – Current situation in accession negotiations". Abgs.gov.tr. Retrieved 21 April 2016. ^ "Treaty establishing the European Coal and Steel Community (Paris, 18 April 1951) - CVCE Website". Cvce.eu. 18 April 1951. Retrieved 21 April 2016. ^ "EUR-Lex - 11972B/AFI/DCL/06 - EN - EUR-Lex". Eur-lex.europa.eu. Retrieved 21 April 2016. ^ "CONVENTION portant révision du traité instituant la Communauté économique européenne en vue de rendre applicable aux Antilles néerlandaises le régime spécial d' association défini dans la quatrième partie de se traité". Euro-lex.europa.eu. Retrieved 21 April 2016. ^ "361 - An evaluation of the EU's Fifth Enlargement With special focus on Bulgaria and Romania - Fritz Breuss - Fritz Breuss, Research Institute for European Affairs (Europainstitut)and Vienna University of Economics and Business Administration - European Commission". Ec.europa.eu. 3 June 2009. Retrieved 21 April 2016. ^ a b "PROTOCOL No 1 : ON AMENDMENTS TO THE STATUTE OF THE EUROPEAN INVESTMENT BANK" (DOC). Europarl.europa.eu. Retrieved 21 April 2016. ^ "EUROPEAN COUNCIL DECISION of 29 October 2010 amending the status with regard to the European Union of the island of Saint-Barthélemy" (PDF). Eur-lex.europa.eu. Retrieved 21 April 2016. ^ "Home". Oami.europa.eu. Retrieved 21 April 2016. ^ "RECENT ECONOMIC AND FINANCIAL DEVELOPMENTS IN EU CANDIDATE COUNTRIES" (PDF). Ecb.europa.eu. Retrieved 21 April 2016. ^ "EU welcomes Croatia's 'historic moment' on eve of entry". Eubusiness.com. Retrieved 21 April 2016. ^ "EUROPEAN COUNCIL DECISION of 11 July 2012 amending the status of Mayotte with regard to the European Union" (PDF). Eur-lex.europa.eu. Retrieved 21 April 2016. ^ "EU membership application not to be withdrawn". swissinfo. 26 October 2005. Retrieved 21 April 2016. ^ Lawless, Jill (11 January 2017). "Iceland gets new govt, could restart talks on entering EU". Associated Press. Archived from the original on 12 January 2017. Retrieved 29 March 2017. ^ Gudmundsson, Hjortur J. (11 December 2017). "Iceland: further from EU membership than ever". EUobserver. Retrieved 8 June 2018. 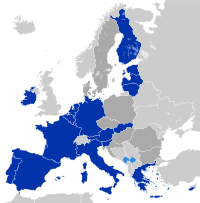 From the establishment of the European Economic Community in 1957 until the breakup of Yugoslavia in the early 1990’s, thus during the Cold War period, the Socialist Federal Republic of Yugoslavia was the only socialist state in Europe which developed close relations with the organisation. Notwithstanding occasional and informal proposals coming from both sides, Yugoslavia never became a full member state of the EEC.